A few months ago, I received and reviewed a CD called “In the Red” by an artist named Tina Dico. I had read that she was previously from Zero Seven but had never heard of that band. I loved Dico’s CD so I was pleasantly surpeised to find this CD in my mailbox seeing as Sophie Barker is another former member of Zero Seven. Now I’m thinking I ought to pick up some Zero Seven stuff because the talent that has come out of that band is quite nice. 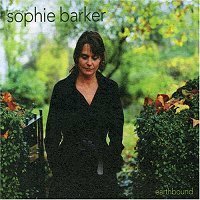 Sohpie Barker’s record, Earthbound, is more mellow and peaceful and less pop-oriented than Dico’s. I would classify Barker as more atmospheric and would compare her more to Loreena McKennit (though not necessarily Celtic). Barker’s voice is beautiful and matches the richly layered music very well. The songs tend to blend into one another but I think that’s perfectly all right on this type of record. If you like lush, almost shoegazer stuff you should definitely give “Earthbound” a shot.